This is the story of a young man thrust into the Royal Navy in distant Hong Kong. He relates some of the humorous situations in which he found himself and provides a realistic account of what life was like for servicemen in pre war Hong Kong. It describes the prelude to war from his point of view and his part in the Battle for Hong Kong. 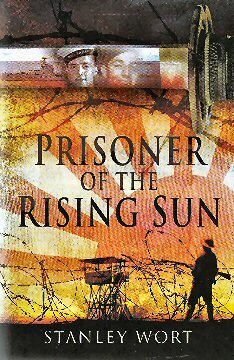 There follows the story of what happened to him when taken prisoner and life and death in prison camps in Hong Kong and Japan. It tells what it was like to be shipped to Japan in the hold of Japanese merchantmen with constant fear of being torpedoed. In Japan itself he and his fellow prisoners were used as slave labour. Treatment was harsh and brutal and although many of them died the Japanese never broke the spirit of the survivors. realize it then, heard the Japanese Emperor announce the surrender of Japan. The book contains a tribute to the efficiency and kindness of the American forces that got him out and on his way home.